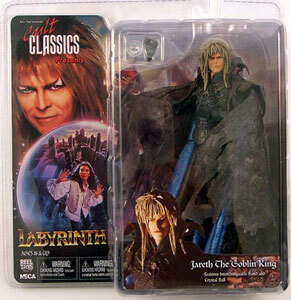 Description Of Item: The first ever action figure of Jareth as portrayed by David Bowie in the classic fantasy film Labyrinth. This highly detailed action figure stands 7? tall and comes complete with interchangeable hands, a crystal ball.